I was a little stung by a criticism I read on another blog that “Dr. Conspiracy does no research.” That raised my hackles when I thought about the hundreds of hours in research I have done. But the fact of the matter is that I rather burned out on research. If you find 50 things that prove your case, what is the marginal value of adding another one? There are 50 articles on this, and 50 on that — about 475 in total already on this blog. So as of late, I’ve been more into publishing “current events” and fluffier pieces. I also question the marginal value of more debunking when the birthers have been caught in so many lies that one more could hardly tarnish their reputation. The courts do not seem to be inclined to believe any of it, and issues of standing render the “natural born citizen” argument moot. With that discussion anyone with sense already knows, and those without sense aren’t going to changed their minds. Anyway, now you know why I have turned on the valve and published a pile of research, citing some lesser known cases, and things that one will not see on page one of a Google search. 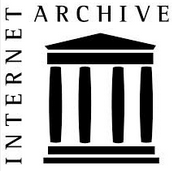 What I intend to do for a while is publish one article on one historical source of interest. I’m not attempting to weave it into one epic saga of US legal history; someone else can do that. I’m going to make the source material more accessible. 38 Responses to What have you done for me lately? Great blog, Doc. And, you are a force to be reckoned with in Birfistan. That’s their real complaint. And since everyone that disagrees with you has no sense (they are just Cotton Mather Crazy! ), what’s the point, right? Well, thanks for letting me know that you are done being a force to be reckoned with – I’ll take this blog off my daily watch list. Yay! Don’t let the screen door hit ya where the good Lord split ya Sally. 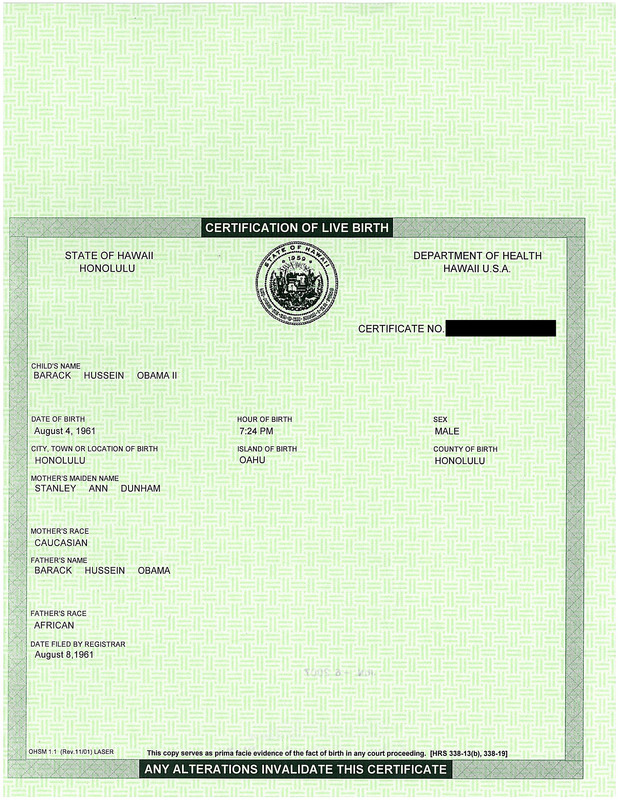 It does start to seem a little futile once you realize that the birthers are repeating arguments made by George D. Collins in his losing brief before the Supreme Court in Wong Kim Ark. And repeating them as if they hadn’t been addressed by the winning brief and by the court! Articles in the “Lounge” category are my opinion, and that is my opinion. But I think you would agree with me that folks pretty well have their minds made up. 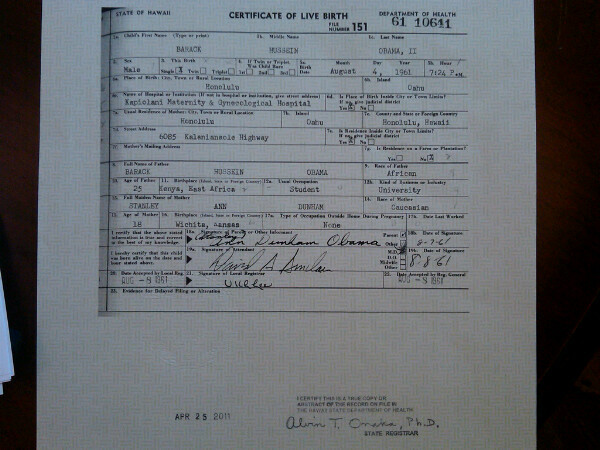 There is nothing I’m going to find in the dusty archives of some library (even if I turn wishes into reality) that would change the birther mind. For them Obama is evil and anything that defends him is wrong. Obama is tainted with foreignness, and for that he can never be a real American–the Constitution and the courts be damned. issues of standing render the “natural born citizen” argument moot. if obama’s reelection campaign faces the same withering opposition he faced over the electoral vote, its certification by congress and his swearing in, he’s dooooooooooooomed!!!!!! birfers believe what they want to believe, not unlike most normal folks. we don’t always have all the facts, and must often choose without their help. but unlike normal folks, birthers want, desperately — pathetically — to believe all at once baseless rumors, untethered speculation, thrice-debunked lies, transparent smears and even forgeries proffered by convicted forgers. someone who needs to believe the himalayan mountain of lies birfers must scale has no interest in the truth — especially when the lies bury a wound, sometimes real, sometimes only imaginary. someone who needs to believe lies will believe them until either the wound heals or the mountain eventually erodes to dust. sometimes neither happens and the believer of lies is buried with them. If people are still fixated on this bull in 2012 then it will most likely lead to an easy reelection. The other problem with that is that his opponents in 08 didn’t make this an issue. The RNC knows that this is a losing issue of the first order. If they use this, the it will signal their final end. As a matter of fact I recall reading a study showing that when you show people conclusive evidence they’re wrong, their belief goes UP, not down. 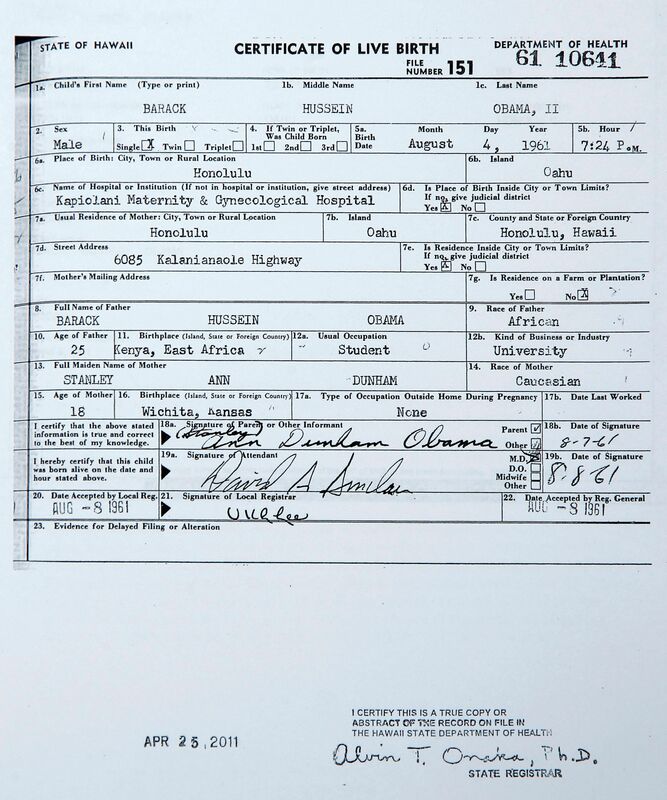 The MORE you establish Obama is legitimate, the more you feed the birthers’ delusions. Let me be practical here: you do realize that the surest way to ensure that all Latinos, Hispanics, Asians, Jews, Trafalmadorians, etc. vote FOR Obama is to raise this issue in the general election? Arguably, democratic moles might infiltrate the birther movement in order to do just that. I glad you mentioned Birfistan. 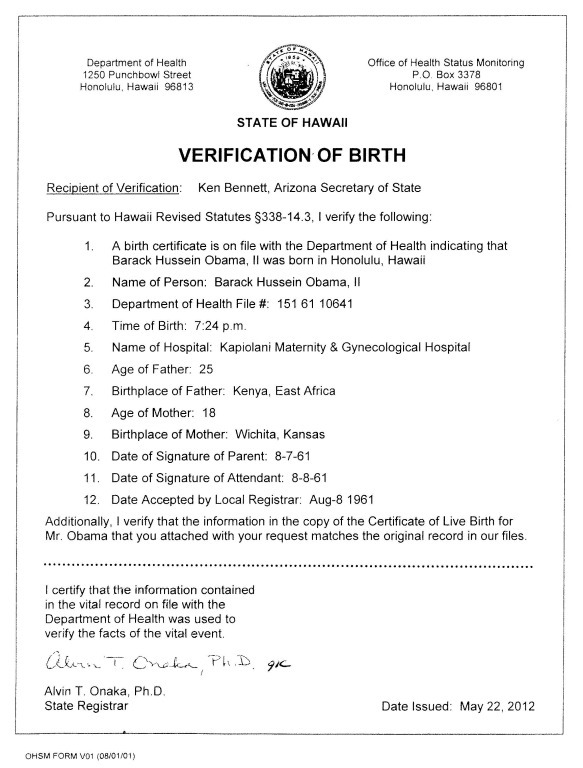 I pray that the GOP selectee (Please let it be Palin) brings up this Birther conspiracy theory BS in 2012….Can you say Democratic landslide? Maybe the GOP nominee can promise to close the FEMA camps, promise to immediately drill for oil down the center of Old Faithful and promise to order a bombing run of the entire Muslim world at 10 minutes after noon on their innauguration day. It doesn’t have to be the Republicans raising the issue. Some third-party candidate will surely sue to keep Obama off the ballot, perhaps Alan Keyes. Or maybe some patriotic state elections official will rule that presidential candidates need 2 citizen parents. And if Obama tries to present a forged COLB in Federal court, well, bring it on. so the state of Hawaii lied huh, I think your hate for Obama is causing your delusions! Here is exactly what will happen if, as you say, a third-party candidate raises the birther issue. All the loony wing of the Republican party will flock to said lunatic, as they did to Perot in the past (counter example: Nader with the Democrats), thereby shaving off about 10% (at the very least, maybe more) of the Republican vote, thus guaranteeing an Obama victory. Seriously: you guys are objective allies of Obama. Some third-party candidate will surely sue to keep Obama off the ballot, perhaps Alan Keyes. Or maybe some patriotic state elections official will rule that presidential candidates need 2 citizen parents. Yeah, because that was such a winning strategy in 2008. But, yes, please keep living in 2008; it’ll make 2012 that much easier. I once read somewhere that Phil Berg should be honored for how much he’s helped the democrats. While such a letter is not unreasonable after the two-month mark, Apuzzo then snatches defeat by repeating his lame “Obama could blow us all up at any moment” line. Just goes to show that Taitz does not have a monopoly on histrionics. It is in my prayers that the Repugs run Huck and Cantor in ’12. Please let it happen. Or maybe some patriotic state elections official will rule that presidential candidates need 2 citizen parents. Now wouldn’t that cause a bit of an uproar? Or maybe some patriotic state elections official will rule that presidential candidates need to be white? I tend to disagree. As someone who has waited 8 months for a discovery ruling, without which a $300 million case could not move forward, I don’t think you ever write such a letter to a judge. For the NEXT election, I could see some lawsuits that might have some standing. Although I agree it is poor form to send such letters, there’s been even worse behavior, like writs of mandate filed in the appellate court to compel a ruling. Like when Keyes runs again? That letter is addressed to the court of public opinion. Uh, Phil Berg is a Democrat. Yes; that’s the point. By filing his suit, he has helped make the far-right wing of the republican party look (even more) crazy. I once had a district judge who failed to rule on fully briefed (and argued) summary judgment motions for more than two years. We exhausted our remedies before the judge and the presiding judge. We then took a writ of mandamus to the circuit court of appeal. (I’m not sure why you describe this as “even worse behavior.”) The court of appeal specifically requested a response from the district court (very unusual!). Ultimately, the court of appeal denied the writ but also said that it assumed that the district court would promptly rule on the motions, which it then did. I saw “even worse” because it is only the two month mark. At the two year mark, a writ seems reasonable. Requiring a written response from the judge is unusual; usually such communications are done over the phone (via the clerks). And thanks to Greg and Chris for sharing their personal experiences. It really solidifies Dr. Conspiracy’s point that Apuzzo is just playing to the masses. I think that if there is no ruling after a significant period of time, it is reasonable for counsel to send a brief letter of inquiry. (one paragraph is plenty). If there are no other signs of activity on the case, it could be a mistake not to inquire. Paperwork does get mislaid, in courts as well as anywhere else. I used to take on cases as court-appointed counsel, where payment of my fees depended on the judge signing off on an order. It was fairly common for attorney fee vouchers to fall through the cracks– so of course we wrote letters asking what was going on. I’d note that the usual practice was to address such letters to the Judge’s clerk, rather than the Judge personally. There a case recently where a retired judge was cleaning house and found the paperwork from a bench trial that he never ruled on. The judge reviewed his notes and issued a judgement 24 years after the trial. Complaining about a 2 month delay seems a little unreasonable.